Tigs and her mum talk to Gary Burgham about the fund raising work they do and the support they offer to Binchester (and other) Community Centres. Tigs has recently been voted Miss Durham 2017 and is going on to enter the Miss Great Britain Contest this September. As well as all that, Tigs is off to Durham University at the end of the month. 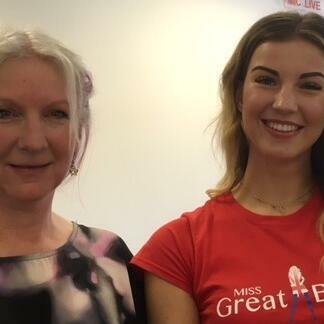 http://www.missgreatbritain.co.uk/ To vote for Tigs, text MISSGB 48 to 64343 - Charges may apply. Check with the bill payer beforehand. We wish her well for the contest and the next four years at Durham.